What is a Window Sash and Why is it Important? Why is a window sash important? 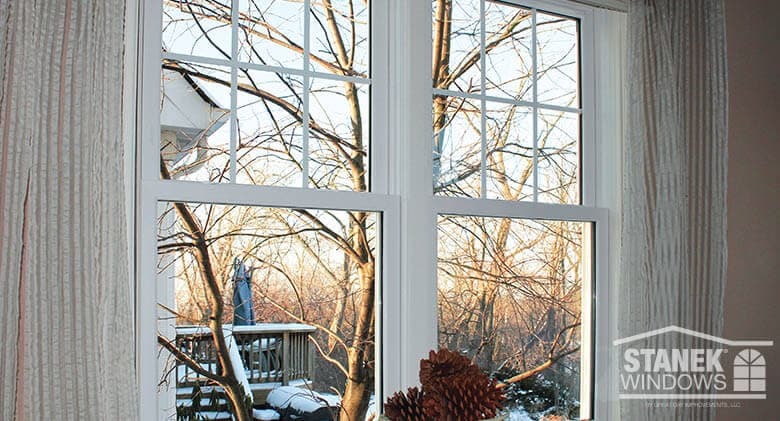 If you’re not familiar with the design and functionality of your home’s windows, you might be unprepared when it’s time to repair or update them. In this post, we'll share what is a window sash and why they are important to the design of the window. A window sash is the part of the window that holds the glass and the framework around the glass to keep it in place. Window sashes are fitted into the window frame and may or may not be movable. Most windows in newer homes are sash windows. Window sashes are very important to the overall construction and durability of the window. It is crucial that vinyl window sashes are multi-chambered, fusion-welded and reinforced so they don’t distort over time. A window sash that is distorted can cause the window to leak and not lock properly. Structural reinforcement determines the quality of the window. For example, Stanek Windows’ sashes are fully reinforced on all four sides using non-conductive FIBERMAX™ reinforcement. This feature offers superior structural strength against sagging, bowing and warping. Since window sashes are an important part of window design, it’s imperative that it works properly. If the window is stuck and unable to open and close, then it may indicate an alignment problem. This can usually be resolved with minor adjustments, but if not, you may need to replace your window sash or windows. If your windows haven’t been replaced in several years, then it may be wise to purchase replacement windows for your home. While the initial cost may be high, new windows may lower your energy bills and increase the overall value and curb appeal of your home. Older homes with wood windows are often plagued with problems like wood swelling, rotting or shrinking. This can cause the window to be difficult to move up and down. 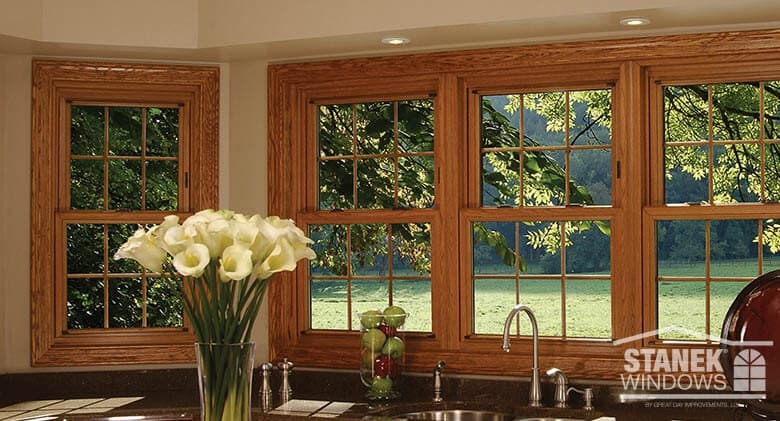 With the latest technology in vinyl windows, however, homeowners can now enjoy the look of traditional wood windows without the problems associated with wood. Stanek windows with interior woodgrain finishes, for example, have all the beauty of wood but the low maintenance and durability of vinyl. Many older homes have aluminum windows. These were popular particularly during the 1960s, but many homeowners encountered problems when the aluminum oxidized. Aluminum also promotes sweating and condensation inside the panes of glass. Today’s vinyl windows are far superior, as they are tough enough to withstand all types of weather, including the sun’s heat. Though replacement window sashes can be a temporary fix, installing brand new energy-efficient windows will offer the best performance in the long run. Typically, the custom-milled sash design offers a precise fit and is often 100% maintenance free. 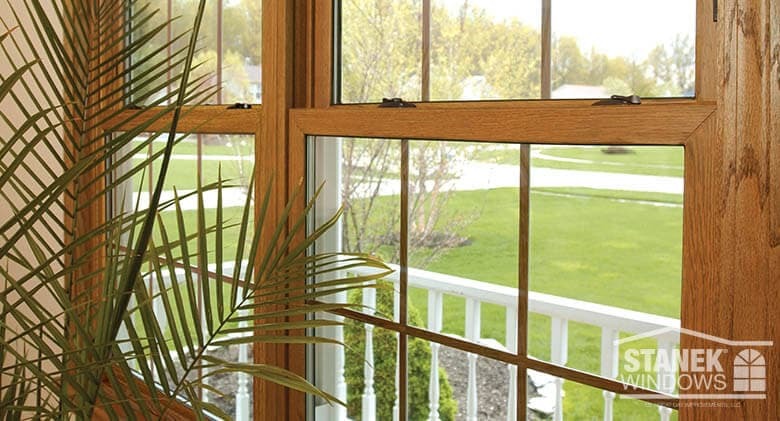 Vinyl replacement windows by Stanek Windows are built to fit your home and offer structural reinforcement, which allows your new windows to be energy efficient and durable. It’s important to work with a reputable company that has been in business for a significant amount of time and is able to offer references. A high-quality replacement window with structural reinforcement offers better protection against break-ins as it’s stronger and more secure. Newer replacement windows are easier to clean and will give your family many years of reliable use. Want to learn more about what you need to know when replacing your windows? Learn more here. If you’re ready to purchase replacement windows for your home, request your free in-home estimate with Stanek Windows today.